If you think, “selling my house fast is the way to go,” then the traditional methods of selling your house may not be the best option for you. What many people don’t realize is that they can sell their house in whatever condition it’s in to professional house buyers FOR CASH. Selling your house As Is is the best way to sell your house quickly—without you having to worry about putting all that extra time, money, and labor into getting your home ready for sale. Whether your house is in need of major structural repairs or simply some cosmetic upkeep, you can sell your house fast As Is. If you need cash in a hurry, don’t delay: contact a professional house buying company as soon as possible. If you don’t have the luxury of waiting long periods of time for your house to sell close to your asking price, you may want to simply sell your house to a professional property buying company. That way, you can not only sell your house within a few days’ time, but you can also skip paying all those high commission fees that real estate agents charge. When you sell your house to us, you can overcome any scarcity of cash you’re experiencing and get on with your life as soon as possible. There are no commission fees or long wait times: we’ll offer you a fair price for your house right away. 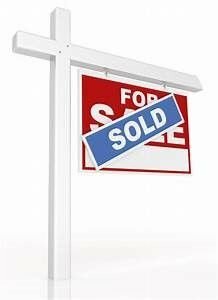 If you are looking to walk away, cash in hand, and move on with your life, then let us know that you are interested in “selling my house fast” and we’ll help you get on with selling your house As Is for cash—fast. There are many reasons why a person might want to sell their house quickly and without a fuss, but sometimes those reasons may be economically motivated. In today’s tough market, it can be difficult for people to keep up with their bills and payments. As such, they may find themselves facing foreclosure—and saying, “selling my house fast is a must.” If you’re facing foreclosure, you don’t have the time or the money to start renovations to get your house ready for market. You need to sell your house FAST to pay off your debts and move on with your life. Fortunately, our professional house buyers will take your house off your hands in no time at all, and we’ll offer you a fair cash price for it. There are no repairs or renovations needed, and we don’t take a commission cost. We will buy your house As Is—so you’ll be selling your house As Is fast—regardless of the condition it’s in. If you want to find out more, give us a call today and we can offer you an estimate on your house! Professional house buying companies understand that not everyone has the time, finances, or inclination to sell their homes through traditional real estate means. Selling your house privately or through a real estate agency can take a lot of time, money, and effort that some people just don’t have. If you’ve been saying, “selling my house fast, for cash, and in its current condition is the only way,” contact us right away! We’ll help you get on with selling your house As Is for cash—the fastest way possible!